This is the view of the Pacific Ocean from the cliffs at Julia Pfeiffer-Burns State Park. The area is not accessible, and must be appreciated from above, surrounded by the aroma of eucalyptus trees. 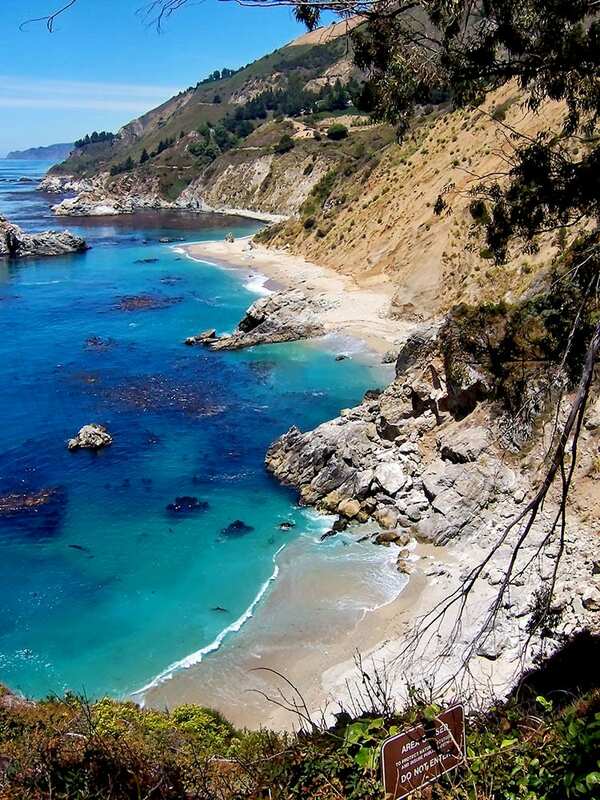 Photograph was taken in Big Sur, California, USA.